Buses and trucks are banned from West End Avenue, which is the Upper West Side's equivalent to Park Avenue on the Upper East Side, which, of course, is broader and has a landscaped median like Broadway. 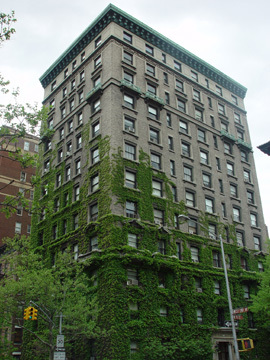 While many of Park Avenue's mid-rise apartment buildings have larger and more lavish apartments, West End Avenue gives it strong competition architecturally as many of its buildings are a bit older and more interesting. Indeed, it could be argued that it has several of the best looking and most interesting apartment buildings in the city such as 243, 263, 495, 601, 610, 640, 645, 666, 740, 910 and the Cleburne at 924 West End Avenue. In a February 23, 2003 article in The New York Times, Nancy Beth Jackson wrote that "a century ago, Charles Schwab, known as the Steel King, bought an entire city block on West End Avenue and built a cream-colored granite castle called Riverside inspired by Loire Valley chateaus." "The largest and most lavish mansion in Manhattan at the time," she wrote, "it took two years and $6 million to complete and included 75 rooms, three elevators and a chapel, and had spectacular river views. Mr. Schwab, the founder of U.S. Steel, died in 1939. Refused by the city as a mayoral residence, his castle was razed eight years later. 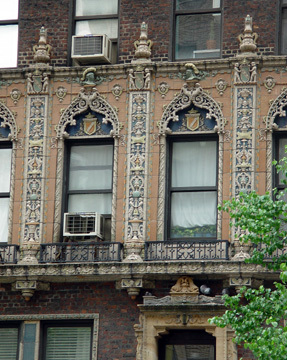 Today, the mammoth red-brick Schwab House, with more than 800 co-op apartments, covers the same block bounded by 73rd and 74th Streets, West End and Riverside Drive. But one thing hasn't changed. West End Avenue excels as a residential street....Sidewalks are rarely crowded. 'It's the Park Avenue of the West Side, with no commercial traffic and no reason to be there unless you live there,' said Steve Friedman, a vice president of the Corcoran Group. 'On West End Avenue, you have a sense of knowing who's coming and going.' It offers larger-than-average apartments, proximity to Riverside Park, convenient shopping on Broadway, easy access to public transportation, some of the city's finest cultural attractions as neighbors and outstanding public and private schools, pre-kindergarten to postgraduate, within walking distance." When it was created with the renaming of the northern end of 11th Avenue, Ms. Jackson wrote, "it was part of a vision of grand and elegant boulevards in the rustic reaches of Manhattan along the Hudson. Mansions, no more than two to the block, were to be built on Riverside Drive and the Boulevard, as Broadway was then called." 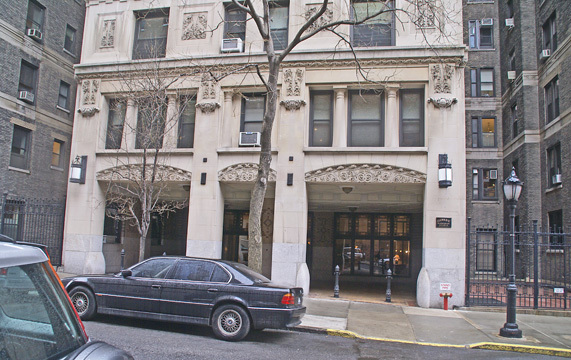 "By the 1920's," Ms. Jackson continued, "apartment buildings had replaced many of the homes, but the elegance remained in wood-paneled lobbies, stained-glass foyers and architectural detail. 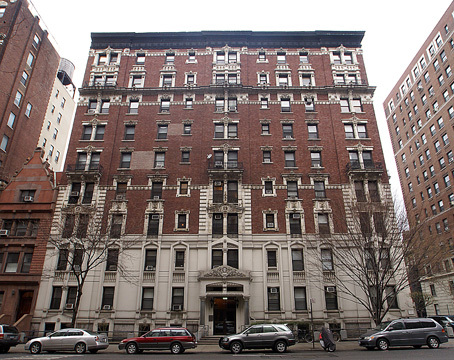 Spaces have been refigured over the years, but West End Avenue north of 70th Street is still known for its classic sixes and sevens, sprawling apartments with two or three bedrooms and a maid's room with bath. 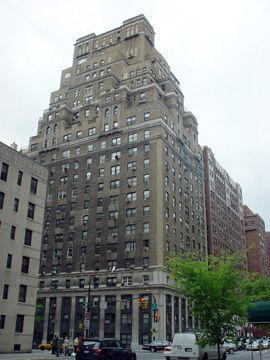 The signature of many of the buildings is a canopied entrance even though the building may have an elevator operator instead of a full-time doorman. 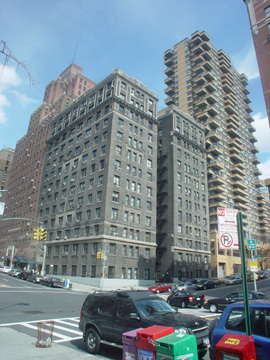 'The buildings are well constructed, so you don't have the issues that come up in East Side apartments like sound transmission,' said Steven R. Wagner, a West Side real estate lawyer....'West End Avenue just keeps getting better and better,' said Naomi Sutton, an associate at Klara Madlin Real Estate who has lived in Lincoln Towers for 25 years, first as a renter and then as an owner after the 1960's housing project turned co-op. 'Nothing feels rundown anymore.'" The article noted that "For nearly 60 years in the middle of the 20th century, parts of West End Avenue were 'declasse,' Mr. Salwen said. S.R.O. hotels, prostitutes and drug addicts became common on some cross streets. But by the 1980's, the street had begun to recover its grandeur." 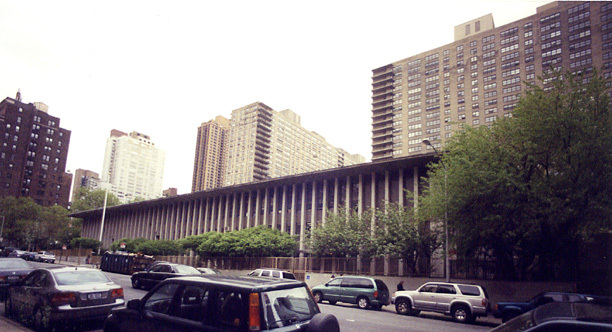 Donald Trump's huge residential development of Riverside South between 59th and 72nd Street began a dramatic make-over of the area. He eventually sold the lower half of his project to Extell Development which continued his plan with the same architect, Costas Kondylis, for four more residential towers and then hired Christian de Portzamparc to design the lower end of the property around which other developers built new glossy towers in the early years of the 21st Century. The Collegiate School, for boys from kindergarten through 12th grade, traces its roots to 1628 and the Dutch West Indies Company. 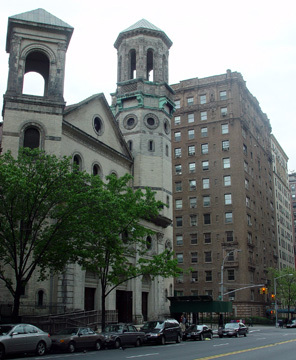 There are many churches in the neighborhood including the Flemish-style West End Collegiate Church, built at the end of the 19th century, the 110-year old Annunciation Greek Orthodox Church at 91st Street. Congregation B'nai Jeshurun, the oldest Ashkenazic congregation in the city, and the Church of St. Paul and St. Andrew, a United Methodist church on West End at 86th. 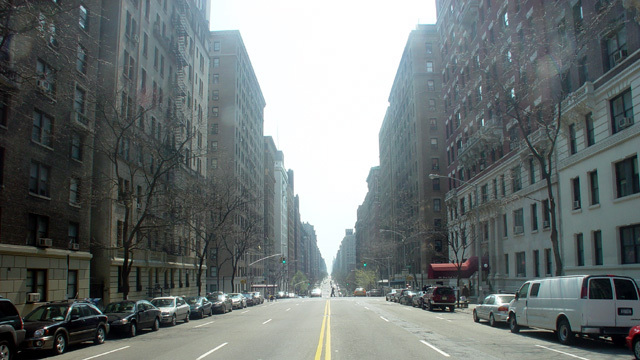 In 2008, a campaign began to designate West End Avenue between 70th and 107th Streets as a Historic District. 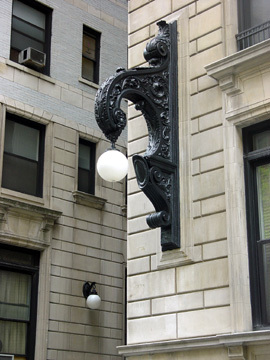 "West End Avenue is one of the most distinctive residential avenues in New York City and it deserves and meets the criteria for Historic District status. Already designated are blocks between 75th Street and 78th Street and those between 87th and 95th Streets. We urge the Commission to extend and expand the Historic Districts to include the blocks down to West 70th Street and up to West 107th Street. 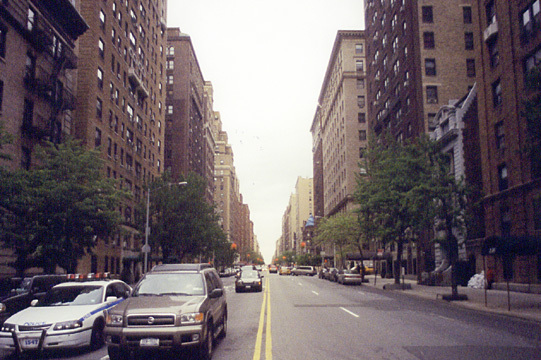 West End Avenue is lined primarily with Pre-War apartment buildings of unified height; most are approximately twelve to fifteen stories. These buildings were erected in the 1910's and 1920's by a small group of acclaimed architects specializing in apartment-house construction in that era. Spread intermittently between some of these unified apartment buildings are historic townhouses that predate the construction of 1910-1920....Even when West End Avenue was first being developed, the Avenue seemed unique. In 1888, an organization called the West End Association declared that "West End Avenue, alone of all city avenues, has a chance of remaining a site of private residences exclusively and permanently." (Robert Stern, Thomas Mellins and David Fishman: "New York 1880-Architecture and Urbanism in the Gilded Age"; Monacelli Press, New York 1999; p. 759).